Kawee Sakawee is an analyst at BGA’s office in Bangkok, Thailand. In this role, he supports a portfolio of clients in engaging the Thai government and Thai stakeholders in business and civil society. Prior to joining BGA, Kawee served as a reporter at Telecom Journal, a telecommunication industry publication in Thailand. Kawee began his journalism career as a freelance writer while studying at university, reporting primarily on economic issues. Kawee has also had a varied career in a number of sectors, spanning from managing his family’s construction firm, to designing strategy games for a London-based company, where he served as head of game design, acting as the company’s lead interface with key clients. Kawee studied political science and economics at the University of British Columbia, where he honed his interest in global politics, as well as analyzing the domestic forces that ultimately affect policy decisions. 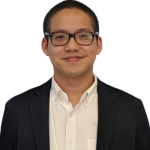 With an innate interest in how politics intersects with business and investment decisions, Kawee brings his passion and skill to the work he does for our clients at BGA. In his free time, you’re most likely to find Kawee at one of Bangkok’s popular boardgame cafés. He is also a diehard futbol (soccer) enthusiast.